As part of BJP's "Main Bhi Chowkidar" campaign, PM Narendra Modi said during the interaction that calling a 'chowkidar' chor repeatedly was an insult to all chowkidars. 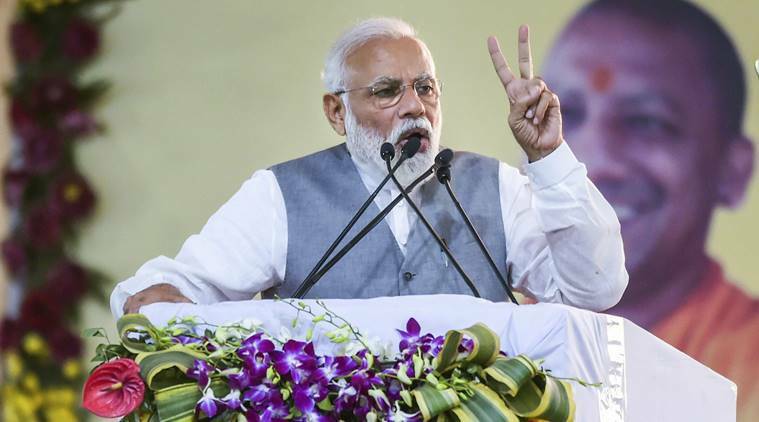 Addressing around 25 lakh security guards via an audio bridge, Prime Minister Narendra Modi on Wednesday said some people were running a disinformation campaign against ‘chowkidars’ for their vested interests, an apparent reference to Congress’ “chowkidar chor hai” slogan. As part of BJP’s “Main Bhi Chowkidar” campaign, Modi, during the interaction, said that calling a ‘chowkidar’ chor repeatedly was an insult to all chowkidars. “I want to apologise as some people in last few months for their vested interests have run a disinformation campaign against ‘chowkidars’. It is unfortunate that the language of these people has hurt you,” Modi said. On Sunday, several BJP leaders, including Prime Minister Narendra Modi, added the prefix ‘Chowkidar’ to their Twitter handles. The prime minister further said he was not alone in the fight against corruption and social evils and everyone working for the progress of India was a chowkidar. “You must have noticed that these days everywhere it is you who is being discussed, be it TV or social media, be it in India or abroad. Everyone is talking about chowkidar. The entire nation is taking a pledge to be a chowkidar today…Calling a chowkidar chor repeatedly is an insult to all chowkidars,” he said. Seen as a counter to Congress’ ‘chowkidar chor hai’ slogan, which has been used by party chief Rahul Gandhi to highlight alleged irregularities in the Rafale jet deal with France and the fleeing of Vijay Mallya and Nirav Modi, the BJP campaign has already been tweeted by 20 lakh people. On Tuesday, Kejriwal had asked people to vote for the BJP only if they wanted to make their children a ‘chowkidar’ and not doctors or engineers. “Modi ji wants the entire country to become chowkidar. If you too want your children to become chowkidar, vote for Modi ji. But if you want to provide a good education for your children and want them to become doctors, engineers, lawyers, vote for honest and educated AAP candidates,” Kejriwal tweeted. On March 31, PM Modi will interact with those who have pledged to be part of the “Main Bhi Chowkidar” campaign. The interaction, to be held at 500 places across the country via video conference.